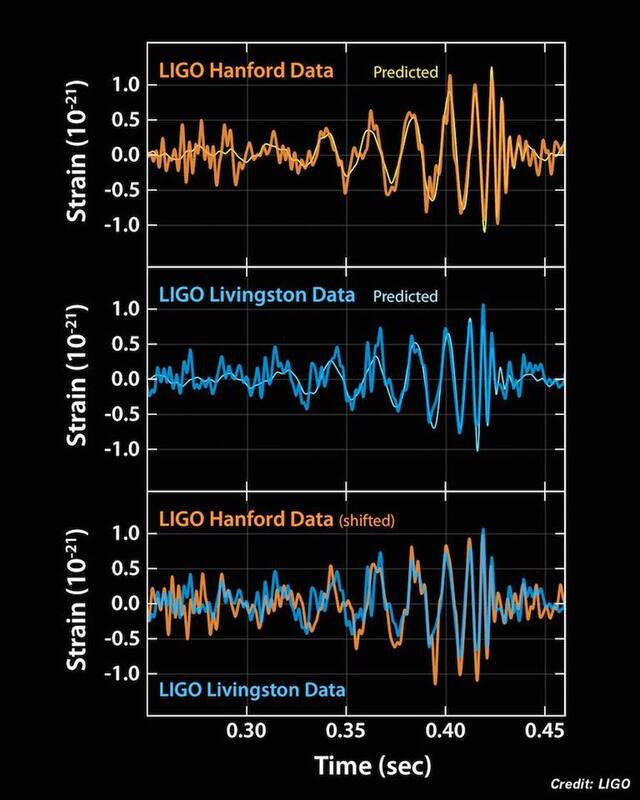 Are you sure these "gravitational waves" aren't just a side affect of the chemical acrolein?? I hear it's the cause of most nasty things! Or worse, "synthetically processed aluminum", whatever the hell that is. Another validation of general relativity. @Krakus I would call it a validation if the experiment can be repeated. There are just too many factors in play and it might just be coincidental. I doubt Einstein's theory could be mined for anything more than we already know by now. What remains to be found is a theory which links it with quantum mechanics. However, such a new theory would not invalidate the predictions made by Einstein's theory so we already have very good knowledge of what it would take to manipulate gravity -- and we won't have anywhere close to those means for a very very long time to come, if ever. It's amazing that we can detect the collision of two black holes 1.3 billion light years away using giant lasers thousands of miles apart onearth. The science and technology is astounding! Our species has such incredible potential when we put our minds to it. This is UNBELIEVABLE! For anyone who is interested in science, today is a great day! It puts into perspective the ridiculous political concerns of a little species, the humans, that thinks it is in the center of a universe comprising 100 billion galaxies! why is it unbelievable? i mean besides it being true, and only lies being believable, and all. > Politicians are too stupid to realize how utterly irrelevant they are in the big universe. That's not stupidity. It's common sense. Why should anyone care how relevant they are "in the big universe"? > ... science exploration has such durable and lasting value. Well, when a science such as space exploration has extremely low value to begin with, it doesn't really matter whether it's "durable and lasting" or not. Amazing! Amazing that Einstein foresaw this, amazing that we found it. I can't find my damn keys in my room. This is why we should invest in science and technology. So much technology you use today was originally developed from space exploration and observation. 'amazing'. you keep typing this word. i do not think it means what you think it means. That's just your opinion. Many disagree. I find your lack of vision disturbing. Excellent. I have heard this new way of observing the universe could be like when Galileo aimed his crude telescope up at the night sky. Also, we are about due for another Newton or Einstein, to take our understanding of Physics to the next level. Party on! The space program has delivered numerous advances that have benefited humanity. Strangely, so have wars. Fact is that humans invent more stuff when they are motivated. The title is deceptive. Nothing is ever proven right in science. Everything remains the best theory we have to explain things. At every point there is a possibility to disprove something. That never goes away by arriving at a point where we say: this is now proven. 99% certain is as certain as you can be about anything your brain perceives through the input of your senses. the only time you can be 100% certain is when you are lying to yourself in order to be that certain. thus, in the english definition of the word theory, its primary meaning is "an explanation", in this case, of natural phenomenon. not that this little explanation of reality will do anything to weaken your "certainty" that your conspiracy "theories" are true, will it? Sadly, most people will not hear or care about this exciting discovery. Unless its about Honey Boo Boo, or the Kardashians, or who got booted off The Bachelor, or which sporting team won the game, many do not care. What a society we have become. > Sadly, most people will not hear or care about this exciting discovery. They are essentially correct, because this discovery *will not* help us to address a single pressing or practical problem here on Earth in the foreseeable future. There are plenty of other fields of research that *can* do that and we should increase public funding for instead. @Pashman1985 Maybe enjoy it when something good happens, rather than comparing it to all the crappy stuff going on. 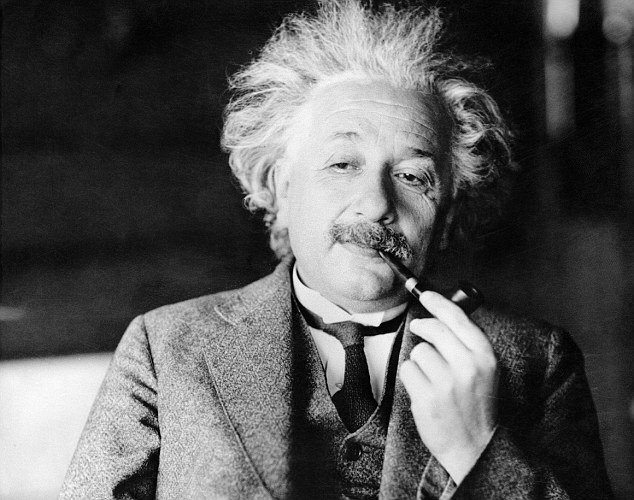 Mr. Einstein your legacy will for ever define our understanding of the universe. @Antony Tremblay Bohr is just as important but for some reason he never became a cultural icon, perhaps because he was a lot less colorful. But when it comes to how we look at the big picture (through the smallest of the small) he is just as significant. no real concept of just how long "for ever" is, have you?